A 15-year veteran with the Singapore Civil Defence Force (SCDF), Mr. Kenneth Mak became an ASEAN Emergency Response and Assessment Team (ASEAN-ERAT) member after participating in the 6th training in 2016. His current work with the SCDF’s HazMat (Hazardous Materials) department has strengthened the capacity of ASEAN-ERAT to undertake their work, particularly in response to the dumpsite fires in Myanmar earlier this year. In an interview with The Column, Kenneth offered some unique insights regarding the Myanmar response, the ASEAN-ERAT programme, and similarities between the SCDF and other ASEAN bodies regarding disaster management. 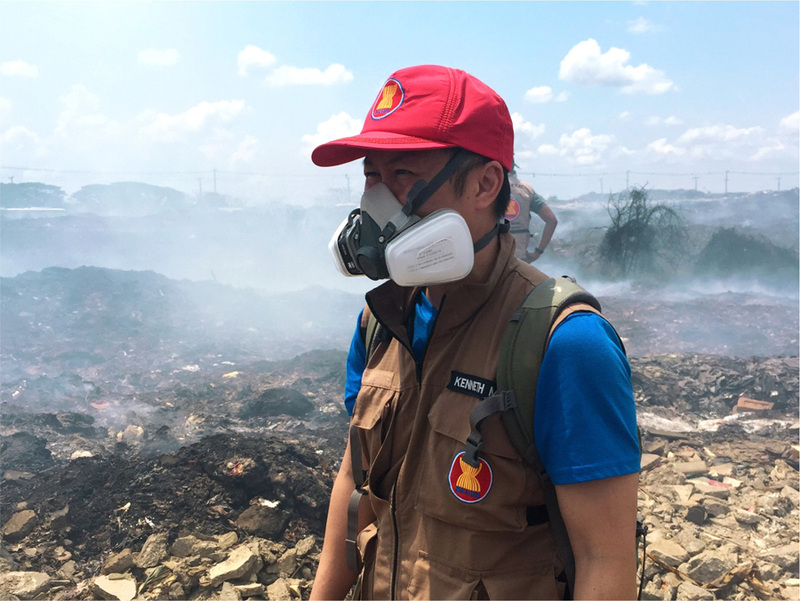 The Myanmar dumpsite fires of late April/early May, 2018 were Kenneth’s first deployment with ASEAN-ERAT, as the region called upon his specialised background related to hazardous materials in response to the disaster. With the impact of the ongoing fires beginning to have a significant impact on nearby communities, Kenneth deployed with other ASEAN-ERAT members to provide expertise on controlling and extinguishing the fires, as well as provide support related to health effects that were increasing during the disaster. “The main request from Yangon city was that they were looking for a firefighting and hazard specialist to give recommendations on the operations. This is basically what I do –firefighting and hazardous material operations – so I was quite comfortable” remembers Kenneth. The context of this being a human-induced disaster is not lost on him either, as he states “Myanmar dumpsite fire was unique compared with other responses, because it was not only a natural disaster, but a fire incident – a first for the AHA Centre and also a first for ERAT deployment”. 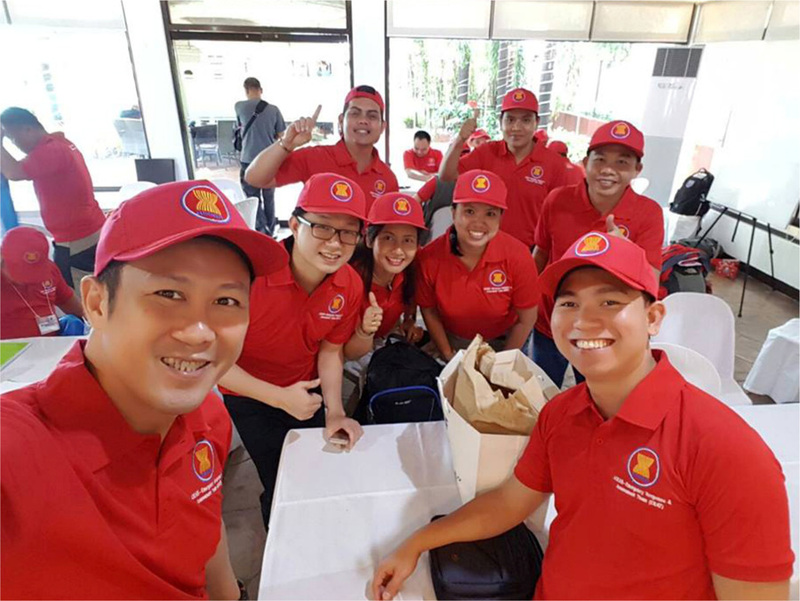 Joining the ASEAN-ERAT programme has been an interesting experience for Kenneth, as it has allowed him to engage further with disaster response across the region. While the Myanmar dumpsite response stands as his maiden engagement thus far, Kenneth highlights the importance and relevance of the training undertaken upon joining the ASEAN-ERAT programme. The overall authenticity of the field exercise that forms a significant part of the programme training is a key highlight for Kenneth, preparing participants for deployment within a context that is as ‘real’ as possible. “Sometimes we thought that during the training the scenario that was given to us was actually real. It is a true reflection of what was going to happen. The training actually geared us up very well before the deployment” Kenneth remembers. Similarities between his work with the SCDF and now as an ASEAN-ERAT member are particularly notable for Kenneth. He notes the reality that often there is a link between industrial or human-influenced disasters and natural disasters. “We have to realise that many environmental emergencies may be indirectly caused by natural disasters, such as earthquake or flood”, he states. Kenneth also sees strong similarities between the responses undertaken by companies for industrial disasters, and natural disaster responses implemented by local governments. For industrial disaster responses, it is the companies who most understand their surrounding environment and the situation at hand, and this is mirrored by the role of local governments within a regional natural disaster response. “We need to work with the local government so they understand the risks they are facing, and if anything happens, support the development of a contingency plan for response”, he says. “The government holds a similar role to companies who are the engaged in the disaster site, as they know the premises well, and they know what they are handling”. “We need to work with the local government so they know the risks they are facing, and if anything happens, support the development of a contingency plan for response”, he says. They are similar to a company, as “they are the nearest, they know the premises well, and they know what they are handling”. 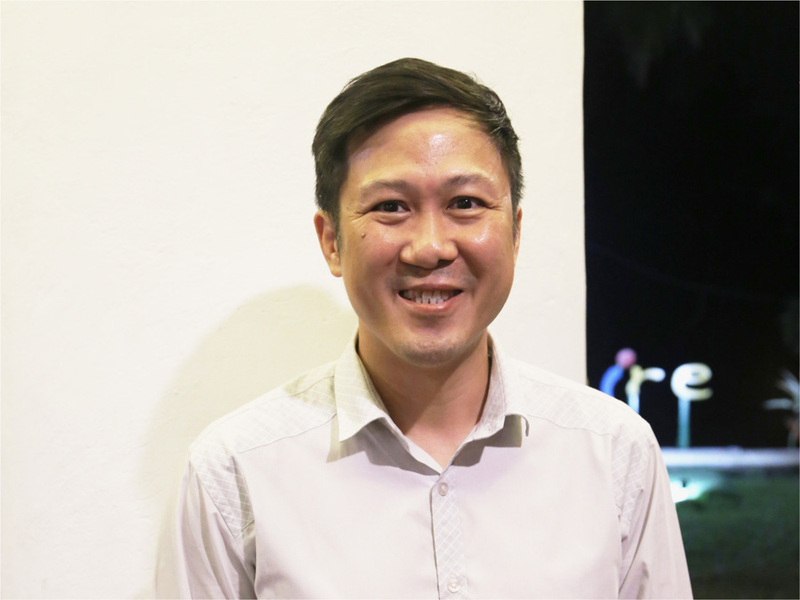 Overall, the value of ASEAN-ERAT, and the role of the AHA Centre, is a key highlight for Kenneth. “I think in terms of relevancy of ERAT, I think it is unique. Because you know there are 10 ASEAN countries and we have enjoyed a close working relationship. We are familiar to ASEAN cultures too”, he says. This is where the role of such programmes and institutions are key – “So, when we go to the affected country, they are willing to accept us more readily because we are engaging with each other more frequently”. Kenneth finishes by considering the future, and the role of ASEAN-ERAT both regionally and internationally. “Over the years, we will build out our expertise, in terms of ERAT response. We will build and can share our own experience that is unique to us”.